Relieve tension. Your pregnant body can experience aches and pains. Treat yourself to a prenatal massage or foot rub with our Relaxation™ Massage Oil. Your body will thank you for it! Refresh your senses. Strong odors can cause terrible nausea during pregnancy. 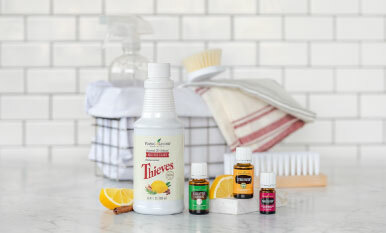 We recommend keeping your favorite essential oil in your purse. When you come across a bad smell, pop out your favorite essential oil—maybe Spearmint; take a sniff and slowly breathe in and out. Pamper your skin. A little bit of pampering makes a big difference during pregnancy. Add some much-needed moisture to your arms, legs, and growing belly with our DIY lotion bar. Kick back, listen to relaxing music, and let the moisture sink in! Find your center. Clear your mind with some light yoga. 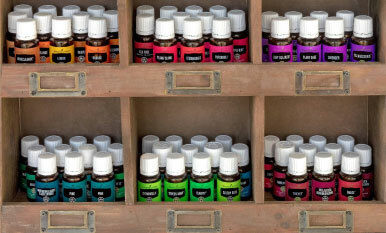 For an enriching experience, diffuse calming oils like Stress Away™ or Sacred Sandalwood™ to keep your worries at bay.